Using raw honey for sleep enhancement or as a sleep aid might seem a bit ridiculous to most. Honey is just healthy sugar, right? Well, actually not. There is a lot more to honey than meets the eye. 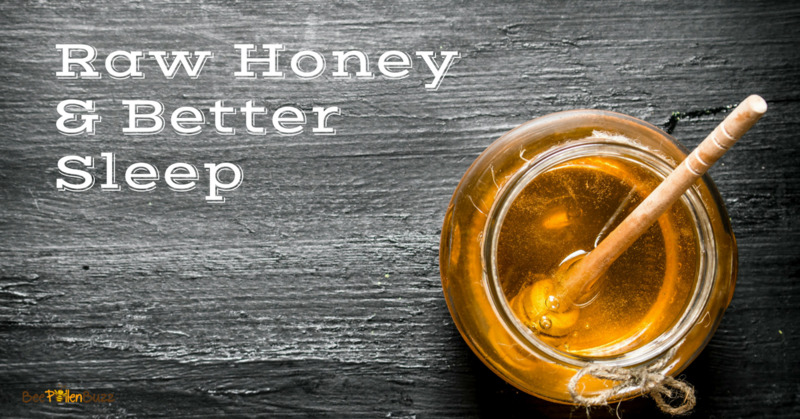 Believe it or not, honey can help you to sleep better, meaning deeper and more restfully. When you combine it with a few of the other 'sleep hacks' I've listed below, chances are you'll be sleeping better the first night. I have personally used this health-hack for years as I am not a good sleeper and require serious attention applied to my night routine or else I'm guaranteed to find myself lying awake at 3:00 am, staring at the ceiling. How does honey work as a sleep aid? Raw honey contains a high amount of fructose and glucose. In the right combination, these two chemicals pack a powerful one, two punch. Your brain uses liver glycogen (carb storage) at night, and raw honey replenishes this supply. While glucose gives your body a small burst of energy in the form of blood sugar, fructose takes much longer to process. It is stored in the liver (as glycogen) and is used by your brain for energy while you sleep. Stable glucose levels are important while you sleep and this is what raw hone does - feeds the brain while you sleep. Fructose also slows down your body’s ability to process glucose. Together, these two chemicals sustain your glucose levels while you snooze. With enough glucose and liver glycogen to make it through the night, you are less likely to wake up in search of food. Before you reach for that plastic squeeze bear full of heated, cooked, pasteurized and filtered honey from the supermarket tonite before bed, stop. For honey to work as a sleep aid, you need raw honey. 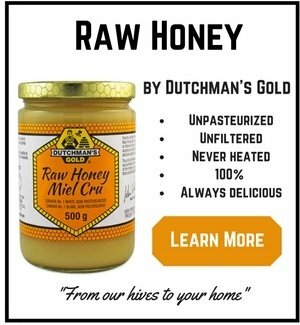 Raw honey is unheated and only lightly strained. Most honey you purchase at supermarkets or large chain stores is pasteurized or heated beyond 105 degrees. This helps to prevent crystallization on the store shelf, which isn't appealing to most consumers. 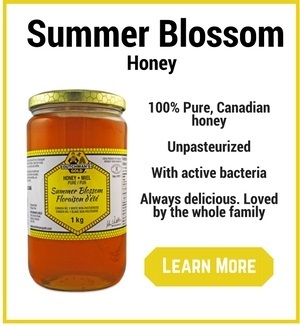 As you might imagine, this heat processing seriously damages the bacteria and enzymes that are naturally present in unprocessed, raw honey. It is my belief that the natural, lactic acid bacteria present in raw honey may also play a role in better sleep. This has not yet been verified by any studies but makes sense, considering that when your sleep cycle is off, your gut bacteria can make more endotoxins. Happy gut bacteria equal a happy gut which, considering what we are learning about the gut microbiome, may equate to less disturbances, less stress hormones and a more relaxed state. If you'd like to try using honey to enhance your sleep tonite, the method is pretty simple. About 30 minutes before you head up for bed, consume 1 teaspoon of raw, unpasteurized honey. Do this for up to a week before determining if it is working for you. If you feel it is not, increase your dose to two teaspoons or even a full tablespoon. Give this health hack up to a week to show results. I have encountered some who found it didn't work initially but just required some experimenting with their dose. This method works the best when you are eating a diet that is lower in carbs. So don't eat a lot of carbs after dinner. Even better, don't eat carbs with dinner. Try to eat just protein, healthy fats and vegetables. I've found that the raw honey works better if I do this. Getting the best rest possible is key to improving your energy level throughout the day while also boosting immunity, slowing aging along with a whole host of other health benefits. And just a bit of raw honey before you go to bed can do just that. Like I said, I have really struggled with sleep over the years. As a result, I've spent a great deal of time experimenting and testing different supplements and techniques to enhance my sleep. These are the top techniques that I've found have helped me to both fall asleep and to stay asleep in addition to consuming raw honey as a sleep aid before bed. Wind down at least one hour before bed. No tv or computer. No cell phone. No bright lights. Turn the lights down low at least one hour before bed. This starts the melatonin production process. The darker the better. Do not eat a large amount of food at least 2 or more hours before bed. Raw honey 30 minutes before bed is the only food allowed. Melatonin with vitamin B12 as you go to bed. I use a product called SleepSmart. Chamomile herbal tea. I often mix my raw honey right into my chamomile tea. Jazz music or relaxing music has proven brain calming effects and I find enhances the wind-down process. Sleep in total darkness. No light at all. Not even a small little speck of light in your sleeping area. UPDATE: I've recently begun using Apple Cidar Vinegar mixed with raw honey before bed. Numerous other sources recommend this as well. 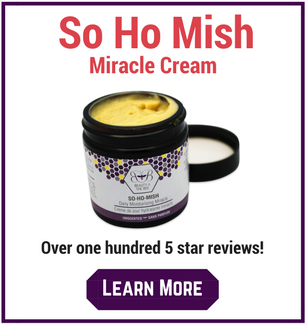 It has increased the effectiveness of the raw honey for myself so it might be worth a try.